The US State Department on Tuesday condemned Defense Minister Moshe Ya’alon’s comments condemning the security plan of US Secretary of State John Kerry as “offensive and inappropriate,” according to AFP. “The remarks of the defense minister, if accurate, are offensive and inappropriate especially given all that the United States is doing to support Israel’s security needs,” spokeswoman Jennifer Psaki claimed to reporters following a visit by Kerry to the Vatican. “To question his motives and distort his proposals is not something we would expect from the defense minister of a close ally,” she said. “Secretary of State John Kerry – who came here very determined, and operates based upon an unfathomable obsession and a messianic feeling – cannot teach me anything about the Palestinians,” he is quoted as saying. 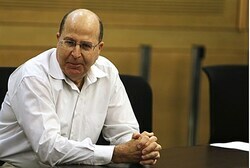 Ya’alon responded Tuesday to the US with more criticism, stating that the US knows that the source of instability in the Middle East is not the Israeli-Palestinian conflict, according to Channel 10. ← An Israeli family’s drive home turned into a nightmare Monday as a Palestinian man attempted to kidnap a teenage daughter.